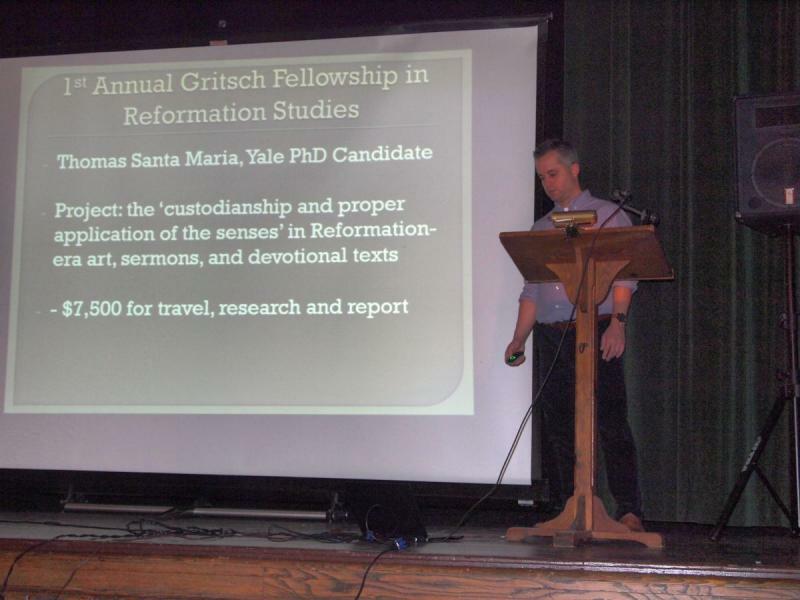 I am both delighted and honored to receive the Gritsch Fellowship in Reformation Studies! I hope that my research can be a testament to Dr. Gritsch’s work as a scholar, pastor, and leader in ecumenical dialogue. My project on the senses in the spiritual life intersects with these three pillars of Dr. Gritsch’s life and work. My aim is to to discover where Reformation thinkers, especially Jesuits, drew the line between using the bodily senses to meditate on the divine and live ethically and guarding the senses from the occasion to sin. These texts and sermons were fundamentally pastoral. They were aimed at audiences for the care of souls. Interestingly, these texts (and even some sermons in print form) transcended the tense political and religious boundaries of reformation Europe. That is, authors from different faith traditions reached audiences of traditions outside of their own. These texts on how to live a good Christian life were ecumenical. I am very grateful for the resources that come with the fellowship, since they will enable me to pursue new lines of research that require archival studies. My research will take me to Rome where the Jesuit archives are housed. There I hope to find unpublished sermons and letters that might shed light on this issue. Outside of the archives I hope to explore the relationship between preaching on the senses and architectural and artistic spaces (and to enjoy a gelato or two!). For example, did preachers have the occasion to point to religious art they thought dangerous while explaining the importance of custody of the senses? These questions are at the intersection of theology and lived Christian experience, which was of the utmost importance in the age of Reformations. I look forward to sharing my research and insights with you all and thank the Eric W. Gritsch Memorial Fund for supporting my research endeavors! Thomas will check in here and descibe his progress and impressions along the way before his final report. so check back soon!